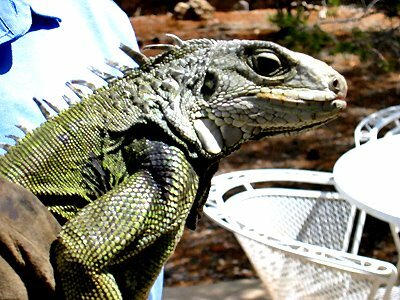 Las Cruces Reptile Rescue is a volunteer operation by local residents that provides care for lost or abandoned reptiles. Yesterday, unknown thugs broke into the home where the Rescue facility is located. Besides trashing the home and stealing property, these miscreants killed a number of the reptiles, including 3 pythons, 2 gray-banded king snakes, a bearded dragon, and a round-tail horned lizard. A 10-foot albino Burmese python was stabbed multiple times, but will probably survive. 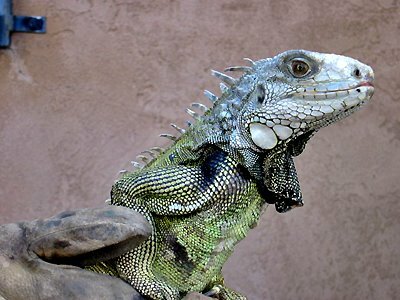 The police say that attacking the reptiles was the reason for the crime. I had a personal experience with Reptile Rescue about two years ago. I was driving near my home when suddenly a dog ran in front of me — then with a shock I realized it was a huge lizard! I knew that such an animal wouldn’t survive in the city, or the surrounding desert, so I jumped out and caught it. It was quite a chase, but I managed to catch it without hurting it — or getting bit. I couldn’t take care of it, so I called the Animal Shelter. They recommended Reptile Rescue, which I then called. They said they’d have someone out to get it within 20 minutes, and they did. While I was waiting, I discovered it was extremely thirsty. They are accepting donations for repair of the facilities, estimated to be at least $6,000.